Parkinson’s Park has joined Local Giving. This is an easy way to donate to the funds of Friends of Parkinson’s Park. You will find the website and donation button here just enter Friends of Parkinson’s Park into the search box. The scheme is funded by sponsors, and on Tuesday 13th October, the charity will be having one of they ‘Grow Your Tenner’ campaigns’. The campaign opens at 10am for on line donations and continues to Wednesday 18th November 2015 at 5pm, or until their funding for this scheme runs out. Usually the funds run out before the end date. From Tuesday the 13th October at 10am, we’ll be matching one-time, on-line donations pound-for-pound up to £10, and monthly donations up to £10 per month for 3 months*. All charities with active Localgiving memberships are eligible to receive up to a maximum of £10,000 of match funding and the campaign will run across the whole of the UK. 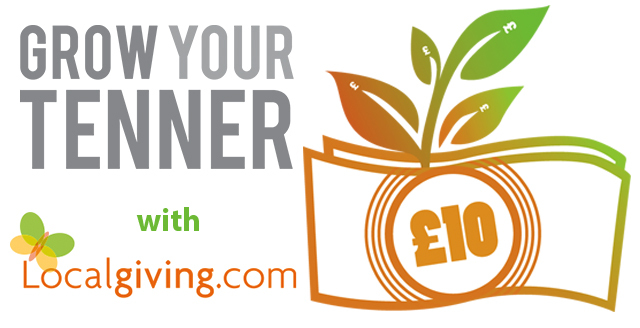 With Gift Aid, a one-time donation of £10 made through Localgiving.com during Grow Your Tenner will generate £21.67** , so make sure you spread the word and start growing those tenners!